The words "Wedding gown" can conjure up many warm feelings, perhaps its mom’s gown or even grandmother’s gown or perhaps the fond memories of shopping for your gown with friends or family. 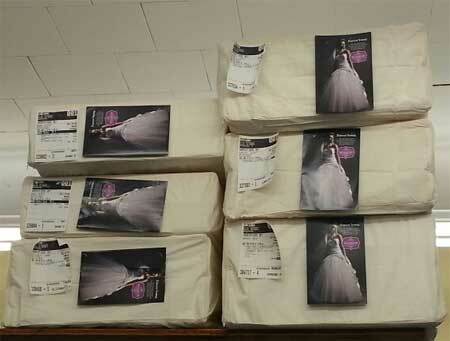 Wedding gowns can cost anywhere from a couple hundred dollars to thousands of dollars. Whatever the cost, your wedding gown is one of those special items that you purchase to wear one time in your life. But what happens to it after the big day? Many women dream of having a daughter who will love her gown as much as she did and wear it for her wedding. But that is not going to be any time soon and unless your gown is stored properly, that gown, no matter what your paid for it, could end up being rags. I can honestly say I have never been to a wedding where the bride and groom did not have a great time at their reception! The food, the drink, the dancing and all of the other festivities make the day what it is. 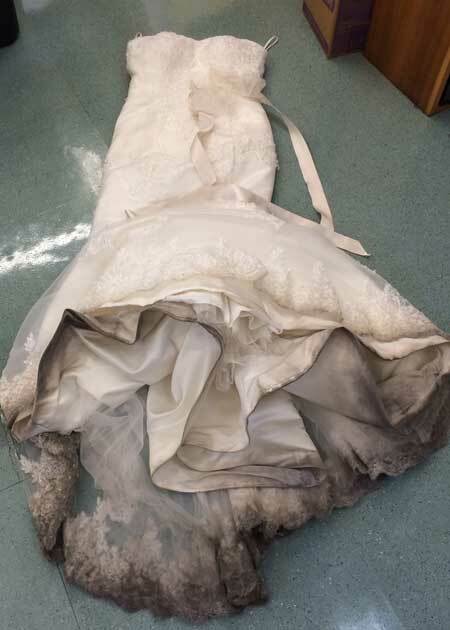 Unfortunately, I have also never been to a wedding where the bride’s gown came out totally unscathed from the party! Maybe it was the glass of wine your maid-of-honor spilled that happened to splash onto you while you were dancing. Maybe it was that big bear hug from your rambunctious uncle George who had the cake with the royal blue frosting on the front of his suit and it is now on the front of your gown. Maybe the weather wasn’t quite like you expected and the mud and dirt on the bottom of the dress and train is caked on so thick you think it may never be white again. Dry cleaning your gown after the big day is an absolute must! But what dry cleaner should you choose? Here are some tips on choosing the right dry cleaner to professionally clean and preserve your precious gown. 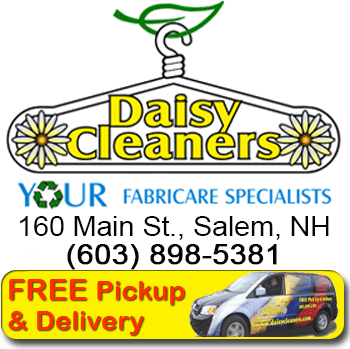 First and foremost, with the most special dress you will ever wear in your life, choose a dry cleaner you can trust. If you never have any other clothes that go to a dry cleaner, ask your friends and family who they use. 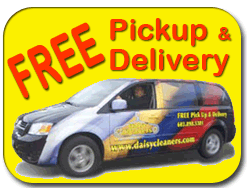 Most people have a dry cleaner they use who they are totally dedicated to and would not think of going any place else. Next, make sure that cleaner specializes in wedding gowns. After all, this gown was not only expensive but you want to keep it for a long time and the last thing you want to do is store your gown for years with stains and dirt. Check to see how the dry cleaner will preserve your gown. If it is anything less than museum archival quality, go someplace else! Museum archival quality boxes have a 200 year life expectancy. These boxes are acid neutral and so is the tissue that the gown is stuffed with to ensure protection. The gown itself should be placed in an unbleached muslin bag which protects the gown while allowing it to “breathe”. 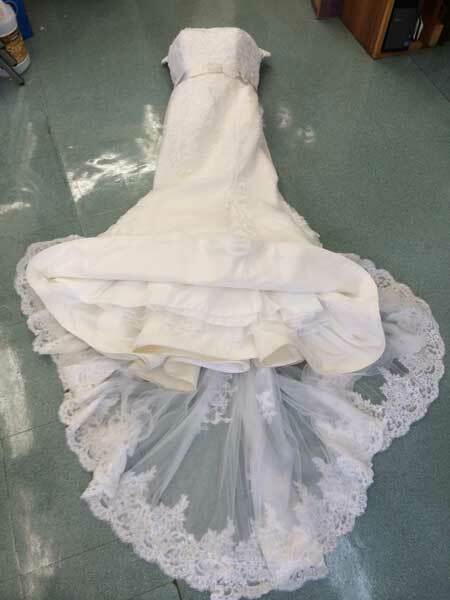 Make sure the cleaner allows you to inspect the gown prior to preserving. There is nothing worse than opening up your wedding gown box 25 years later to find that maid-of-honor’s wine stain still on the bodice. Finally, once you have your perfectly cleaned, perfectly preserved gown back at home, it is recommended that you store it in a cool dry place. A dry basement or under a bed is a good place. Attics are not a good choice as the temperature highs and lows can cause damage to the item. One last note – make sure you store it in a place where pets do not have access to as the boxes could be damaged by animal waste.